The staff at Game Informer recently got to interview Obsidian Entertainment, the studio behind the upcoming action-RPG, The Outer Worlds. This led to some of the mysteries surrounding the upcoming game being cast aside. One noteworthy piece of information is that The Outer Worlds will get a physical release. While this may not be shockingly surprising, it does prove that there is still a market for physical media and put to rest any notions that digital games will be taking over any time soon. As time goes on, the shift to a possible all-digital ecosystem is happening, but very slowly. We also learned that The Outer Worlds will be available for $60 for the PS4, Xbox One, and PC, which again, isn’t surprising. This does beg the question about price-points for future games. Gamers sometimes complain about video game prices, but when accounting for inflation, games are less expensive than they’ve ever been. Continuing to see $60 price tags on next-gen games would be strange and it wouldn’t be surprising if various pricing models were explored when the time comes. Either way, it’s good to know that The Outer Worlds will be available physically. Sadly, we don’t have a release date for it yet, but it’s planned for sometime in 2019. Release windows should probably be taken with a grain of salt, as they tend to shift around as development ramps up. 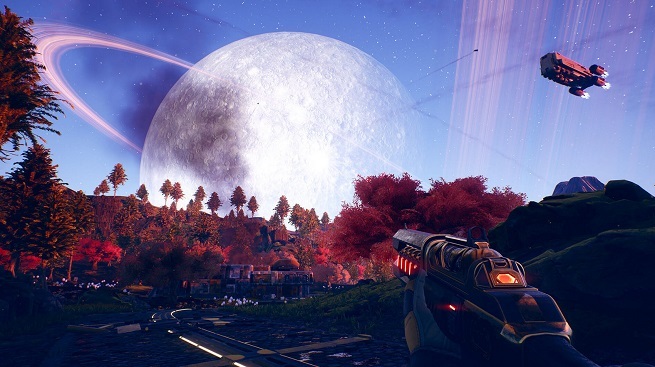 Will you be picking up The Outer Worlds physically or digitally? Let us know!